Allison Gusmus is a Human Resources Consultant with F&H Solutions Group. 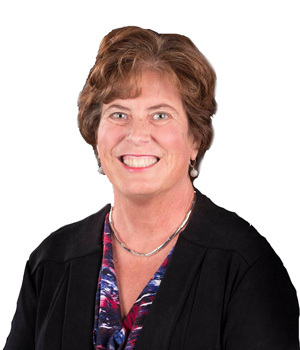 Allison Gusmus is a seasoned professional with more than 25 years of human resources experience with leadership/professional development, succession planning, coaching, employee engagement and culture development. She has worked with companies within the health care and non-profit sectors and has also conducted brand training in the retail sector. Prior to F&H Solutions Group, Allison served as director of learning and organization development at ALSAC/St. Jude Children’s Research Hospital where she established the department as well as a host of high potential development programs and a highly-sought after internal coaching program to further ALSAC’s highly engaged culture. Allison has taught at both the undergraduate and graduate level at the University of Memphis and Belhaven College for over twenty years. She also has obtained the SPHR and SHRM-SCP certifications, has a certificate in OD from NTL and is a certified coach. Allison completed her MBA from Maryville University in St. Louis and completed her PhD in Organizational Behavior/Social Psychology from the University of Memphis. Is Your HR Department The Police or A Partner? Should You Be An HR Leader?